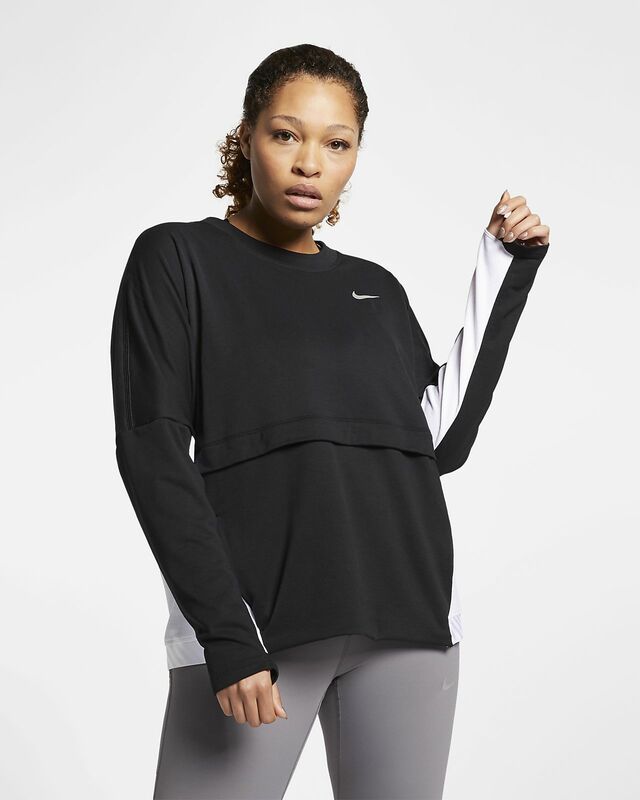 Layer up in the Nike Therma Sphere Top. Soft fabric delivers lightweight, breathable warmth, while the color-block design and exposed elastic at the back add a vintage feel. Color blocking and exposed elastic at the back hem give a sporty, vintage feel. Elastic has a knit-in hazard stripe design. Fabric: Heather: Body: 93% polyester/7% spandex. Panels: 94% polyester/6% spandex. Pocket bags: 100% polyester. Solid: Body: 94% polyester/6% spandex. Pocket bags: 100% polyester. Have your say. Be the first to review the Nike Therma Sphere.